Deer Creek Door Service is the leading name in garage door service serving Arvada, Broomfield, Castle Rock, Centennial, Golden, Highlands Ranch, Ken Caryl, Lakewood, Littleton, Morrison, Northglenn, Parker, Park Meadows, Roxborough, and that is due to the fact that we treat every customer with the personal attention they deserve to customize their garage door service experience here with us! Our speedy, affordable garage door service work comes with a full one year warranty, and our trained technicians won’t rest until each of our customers are 100% satisfied with all of the work we provide! 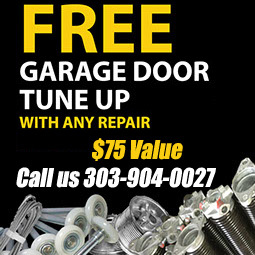 • General garage door maintenance and more! We guarantee that our friendly, professional technicians can handle all of you garage door service needs, from top to bottom. We’ll be there to answer any of your questions, every step of the way! Here at Deer Creek Door Service, we are dedicated to making sure each and every one of our clients all over the Arvada, Broomfield, Castle Rock, Centennial, Golden, Highlands Ranch, Ken Caryl, Lakewood, Littleton, Morrison, Northglenn, Parker, Park Meadows, Roxborough, Colorado area get the exact garage door service they need, exactly when they need it! In most cases our work is completed on a same day basis, and that even includes most installations! At Deer Creek Door Service, we have special discounts on our services and products throughout the year, and make sure that all of our customers take full advantage of them! If you are in need of garage door service in the Arvada, Broomfield, Castle Rock, Centennial, Golden, Highlands Ranch, Ken Caryl, Lakewood, Littleton, Morrison, Northglenn, Parker, Park Meadows, Roxborough, Colorado area call us today to find out what we can do for you!